In 2009, 11.1 million U.S. adults became victims of identity fraud up 12% from the previous year and a 37% increase from 2007. Those are shocking numbers but what does it translate to in dollars? The fraud amounts totalled $54 billion. With each incidence averaging $4,841 according to Javelin Strategy and Research. This week we’re focusing on Identity Theft and providing a variety of means to keep yourself from being a victim. We start today with a true story of Identity Theft to an unlikely candidate. Julie works by day in the banking institution investigating money laundering and fraud. Read on about her story and in the coming days we’ll talk about some steps you can take to protect yourself. Q. How was your identity stolen or do you know? All of a sudden, there are charges all over Chicago, (I live in NY). New computers, gift cards at major high end stores and not one red flag went up at Sears. The company involved was Sears. I had been a customer of theirs for years, (over 30). Working for a Bank, I know your available credit and credit balances are taken into consideration when applying for a loan or mortgage. Sears had raised my limit to $11,000.00 which I did not need, so I contacted them and had it reduced to $2,000.00. They also changed their charge card from a store card to a Master Card. With a 21% interest rate, the only time I did use it was to renew my maintenance contract on my refrigerator. The card was due to expire so according to them they mailed me out a new one, which of course I did not receive. Now mind you, for years, the only charge on that card was the maintenance $109.00. All of a sudden, there are charges all over Chicago, (I live in NY). New computers, gift cards at major high end stores and not one red flag went up at Sears. They finally called me when the total hit $13,897.00 because according to them, I had a $14,000.00 credit limit. According to them, they did contact me all along and I approved the charges, because, as they state, they left messages on my answering machine and because I did not contest it, they took that as my approval. According to them, I am the one that requested the increase in my limit. The only reason it stopped was because the person was trying to purchase more gift cards and that would have taken me over the $14,000.00. After battling with them, I did find out that”¦ the number they were calling was a Chicago cell phone number. Upon completion of their investigation, It was found that it was done by one of their own employees. I am not sure if your are familiar with this field of investigation, but with banks, there is a law that one must “Know your Customer.” Red flags should have gone up. Why if I lived in NY would they be calling a Chicago number? If there was only one transaction a year, and all of a sudden there are all these charges in another state, why didn’t they question this? As soon as I found out, I contacted the 3 major reporting firms and put a freeze on my name. No accounts could be opened without calling me and asking for the password. No charges could be made unless the creditor called it in first. (This was a bit of a pain, I will admit) but, the night I put the freeze on, someone tried to open an account at Sam’s wholesale club and it was stopped. Q. Did you get any of your money back or did you lose it all? I was fortunate that I was not responsible for any of the outstanding money. They did find out the employee and they were prosecuted. Q. How long did it take you to get your identity back? Q. What have you done now to protect yourself for the future? I bought a top of the line cross-cut shredder! Since I was a victim of identity theft, it is rare now that I get any unsolicited information on Credit cards. (I am glad about this) But should one sneak through, it is automatically shredded. I check my statements each month making sure my available credit does not change. I also keep an eye on the expiration dates of any cards and call them 30 days in advance about the mailing date. Since I am on a mission to reduce my debt, my “charges” are on my debit card or cash only. The company should have notified me that a new card was on the way, but they didn’t. Q. For people who don’t feel it’s a real concern do you have any specific advice for them? Everyone can become a victim at any time. My Dad did at 80 years old. Someone actually went into his bank and tried to open an account using his information. I don’t think they were that stupid, just a freak thing.. Laughing.. But”¦. A good thing to do, is make yourself known to your Banking staff.. (The Know Your Customer rules). The one that tried to open the account was in his mid thirties and since the staff knew Dad, the cops were called immediately. The more information your Bank or Creditor has on file for you, the safer you will be. Sometimes you might find you have to force them to take all the information, but be persistent. Read all mail carefully, sometimes hidden “pre-approved” things are sent, and we don’t notice till it’s too late. And finally, MAKE THE SHREDDER YOUR FRIEND !!! I want to thank “Julie” for sharing her story and I encourage you to stay tuned for the rest of this weeks series where we’ll cover the details on how to better protect your identity yourself. 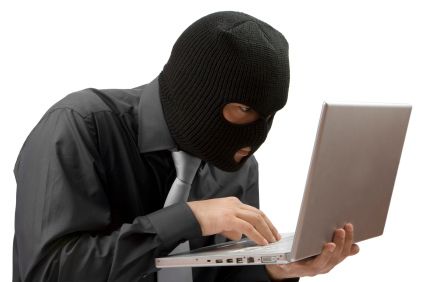 Have you or someone you know been a victim of identity theft? We’d love to hear your story as well. wow. this is scary. i am going to shred a few papers that have a whole lot of info that i have committed to memory. i was thinking of doing this later but this post have jolted me into activity. $13k is a lot of cash to loose to thieves. BitFS sounds like you dodged a major bullet. I have had a similar experience that was resolved very quickly. Julie’s situation is the very scary scenario which will take a long time to recover.